I love summer, not because of the heat i can assure you, but it is the only time of the year we get to eat stoned fruits like peaches, nectarines, plums and apricots. We absolutely love stone fruit in my house. Now we are happy to eat any stone fruit fresh, but as the fruit is in season and quite cheap, I love making desserts out of them. So I've poached peaches and pears before but now I ventured on to apricots, as they looked amazing in the fruit shop today. We loved this, it was sweet, it was delicious and eaten over some vanilla ice cream was the perfect dessert on a hot summers day. Now feel free to use the same base with any stone fruits, as they all work well with vanilla and with poaching them. According to Bill Granger you can even make this winter with dried apricots, just omit the sugar though. Now as I said we had this as a dessert over ice cream, but you can just as easily serve the apricots over cereal or with yoghurt. Also I have stated the apricots need to be ripe, that means not super hard and not super soft, you want them just ripe. If apricots are looking great today or you just need to use up some fruit, give this a go, it won't disappoint. Place sugar, vanilla bean seeds and vanilla bean into a large saucepan with 2 cups (500ml) water. Stir over a low heat until the sugar dissolves. When the sugar has dissolved, stop stirring, increase the heat, bring to boil and boil rapidly for 1 minute. Add the fruit, I like to place it cut side down. Cover with a piece of baking paper (cartouche). Reduce the heat to low and simmer for 10 minutes or until the fruit is tender. 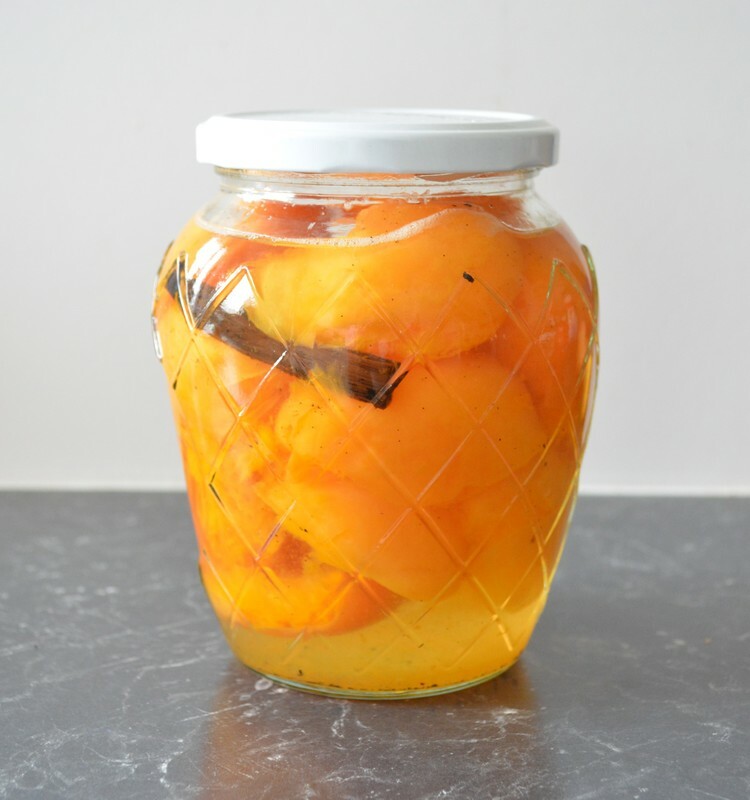 Pour the fruit and syrup into sterilised jars (or a serving dish) and refrigerate for a few hours. You can eat them warm, but I love them cold. They will keep for up to 4 days in the refrigerator.